Another sweet little birthday book. If you missed the first one I made, you can find it here. This is the last one I have of this design, but I can always tweek it and make another one! I still have a pink lady bug in the shop here. 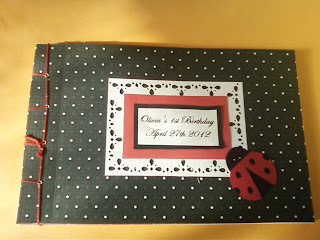 and as you can see I created some cute little invitations to match!